Some loyal Gear Institute readers may be old enough to remember the old-school PFD (personal flotation device) brand Lotus Designs, which was launched out of an old filling station in whitewater-mecca Asheville, NC, back in the 90s and was acquired by Patagonia in 1999, before they shut it down. Founder Philip Curry then took a few years off and practiced biodynamic farming before launching his second PFD brand, Astral, in 2002, focusing again on the core whitewater and wilderness athlete with the goal of working in the least impactful, least toxic way he could. Astral life jackets do not use PVC (polyvinyl chloride, the toxic plastic found in household items and outdoor gear), but they do incorporate polyethylene foam, which is recyclable and requires approximately half the amount of petroleum to create the same amount of buoyancy as PVC foam, Astral said. Approximately 15 percent of Astral’s PFDs incorporate Kapok for flotation, a naturally buoyant, compostable material made sustainably from the upper canopy of certain trees. It gives Astral’s PFDs a soft and flexible feel. They also recently completed the removal of all chloroprene (neoprene) from the line, because it utilizes toluene and other toxic substances. In 2009, Astral Footwear was launched with the now famed Brewer boating shoe, followed by the creation of its G.14 rubber in 2014. When Curry, CEO and Director of Product, decided to take the plunge into footwear in 2009, he moved to Vietnam so he could learn everything possible about shoe production, and still spends about half of his year in Vietnam to maintain a close relationship with production and the factory family. “My original directions were: we’ve got to make a shoe without adhesives, as environmentally friendly as possible. Environment to us is an underlying theme, a constant thing, but it’s not something we talk about very well,” he said. Using the Brewer to help shape the design of the new collection, he’s been able to use 40 percent less energy and 70 percent less adhesives. Thus creating a collection that’s 50 percent lighter weight on average than other comparable models, which is actually a relatively easy way to measure the enviro impact of a collection. Available in stores now are beefed up versions of the original Astral water shoes. Durable, yet the lightest in their class by 20-50 percent, the performance-casual, rugged-yet-stylish Astral Donner (for men) and Tinker (for women) hit shelves this earlier month. Having been a huge fan since the Brewer came out (I still boat and fish in my first pair), the Donner builds on this lifestyle-inspired, highly functional water shoe. Both the Donner and Tinker ($99.95) are equipped with Astral’s high friction, non-marking G Rubber Agro soles, feature balanced geometry, closed-cell EVA foam midsole, and a hydrophobic canvas upper with welded reinforcements at the heel, toe and eye stays. “The footwear world doesn’t necessarily understand how core works, as nine out of 10 brands are just a shell of a larger brand. 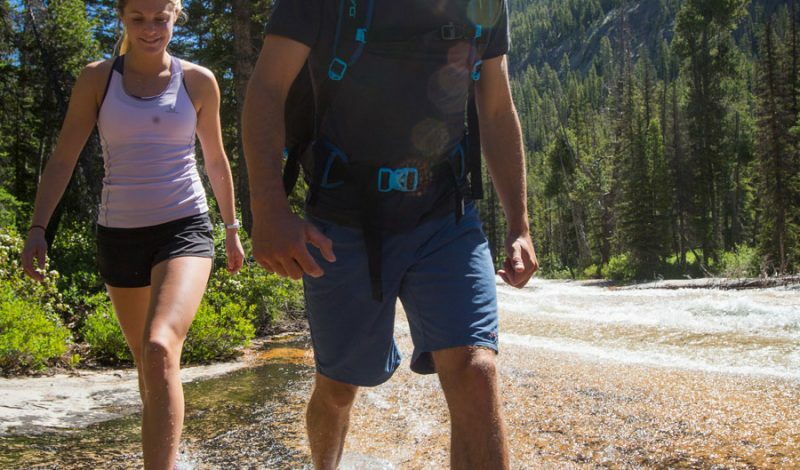 There’s only a few footwear brands in outdoor that are still led by their founders and by their original intention and their original commitment to the user, to their performance in nature,” Curry told The Gear Institute. “From Chaco to Teva to Keen all started with an important performance angle. Now they’re more a marketing machine competing for a piece of the huge footwear pie.” When Curry isn’t in Vietnam he spends the rest of his time in Ketchum, Idaho, where he can paddle and test his products in their intended end-use playgrounds. 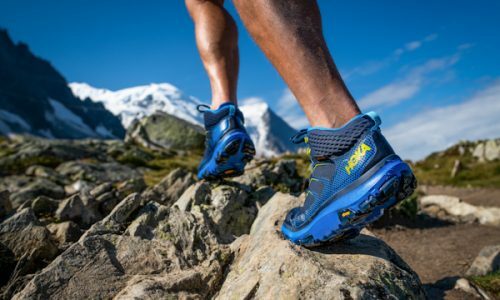 Astral is now introducing a completely new TR1 trail shoe series that will be debuted at Outdoor Retailer Summer Market next month in August, and will hit retail shelves in the Spring of 2017. “Building upon our fundamentals of lightness, superlative grip, balance and water-readiness; we’ve developed what we think is the highest performing, most versatile trail shoe on the market,” said Curry. Features will carry over from the water shoes: Balanced Geometry™, Cushioned Support System™, G® Rubber compounds, Polygiene® treated insoles, and water-ready hydrophobic mesh. The TR1 Series is comprised of the TR1 Trek, TR1 Junction, and TR1 Mesh. Astral shoes resonate with today’s consumer who appreciates a simple, reliable and versatile shoe. Featuring highly technical yet stylish components, Astral started out making shoes for their core paddling fans, who were constantly maneuvering around slippery boulders and canyons in intense environments; and that approach to footwear was the foundation for their new generation of trail shoes. >>TPU overlays on upper at toe and heel cap. Removable Polygiene treated insole, heel tab, and alternate lace. >>Outsole: G.15 high-friction non-marking Rubber with 5mm lugs. >>All shoes are Vegan, made without any animal by-products. >>Hemp will be introduced in Fall 2017. “Astral’s foundational thing is the rubber,” said Curry. “Coming from the kayaking world, Five Ten was the gold standard for grip. It took me a couple of years in the labs in Korea to develop a rubber that would compete with Five Ten, and we’ve done that.